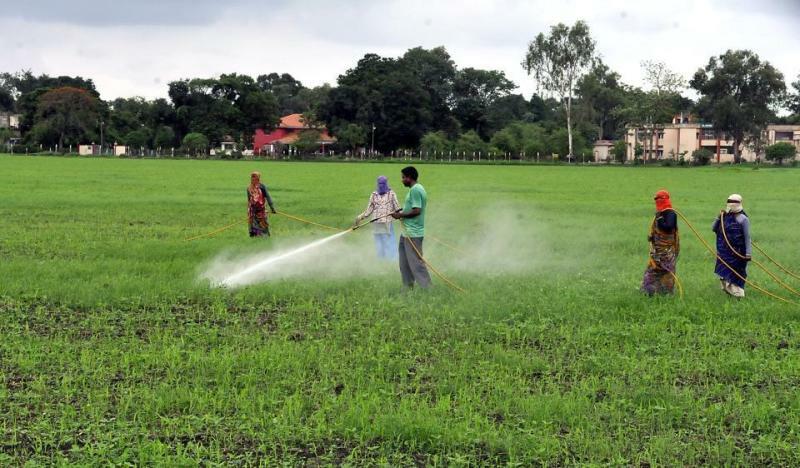 Madhya Pradesh has embarked on an ambitious plan to develop 1,100 ‘climate-smart’ villages with an aim to prepare farmers to manage the climate change risks timely and ensure good productivity.“The government has been planning to develop 1,100 villages as climate-smart villages in a period of next six years,” state Farmer Welfare & Agriculture Development Department principal secretary Dr Rajesh Rajora told PTI.He said 100 villages in each of the 11 agro-climatic zones of the state would be taken up under the plan, which would incur a cost of about Rs 150 crore every year. “The work is being taken up under the National Agriculture Development Programme (NADP) and Indian National Mission on Sustainable Agriculture,” he said.In these villages, the farmers would be encouraged to go for short duration variety of crops, in addition to using drought-resistance seeds.“The focus would be on integrated agriculture, which comprises animal husbandry, fisheries, in addition to traditional farming. Agro-forestry would also be adopted in these villages,” Rajora said.Agro-forestry conserves and protects the natural resources as it helps water retention and stops soil erosion.He said integrated nutrients management would also be implemented to help in soil fertility and plant nutrients supply through optimisation of all possible sources of organic, inorganic and biological components.“In addition, the integrated pest management, zero tillage, raised bed gardening techniques and micro-irrigation would also be introduced in the climate smart villages. This would help farmers to increase the productivity amid all challenges of climate change,” he said. Zero tillage technique is a way of growing crops time and again without disturbing the soil through ploughing, another agriculture expert said.“The micro-irrigation systems like drip and sprinklers would not only reduce the water use but also lessen the use of fertilisers and energy,” he said.Rajora said the state government would seek help of Rajora said the state government would seek help of International Crops Research Institute for Semi Arid Tropics (ICRISAT), an international NGO working in the field of agriculture, and Consultative Group on International Agricultural Research (CGIAR), a global agriculture research partnership. “The Centre has set ICRISAT, the UN organisation, as nodal agency for developing the climate-smart villages. We would also seek expertise from scientists of two agriculture universities at Jabalpur and Gwalior in addition to state government’s scientists in various district headquarters,” he said. According to agriculture department officials, various equipment and sensors would also be used in these villages to help the farmers.The state government has already announced to open a soil testing laboratory at the block level. A plan is also on the anvil to provide soil health cards to farmers under state government’s efforts to double farmers’ income in five years. To ensure sustainable agriculture growth, MP has also constituted a ‘Krishi (agriculture) Cabinet’ for the purpose.The cabinet includes ministers of agriculture, horticulture, animal husbandry, fisheries, cooperatives, water resources, Narmada valley development, energy, panchayat, rural development and SC/ST welfare departments. MP had also received Krishi Karman award for 2014-15, the fourth during past five years, for increasing the food grains production and productivity by 254 lakh tonnes and 1,719 kg per hectare, respectively.The state government also claimed to have increased the irrigated agriculture area to 40 lakh hectares from 7 lakh hectares in 2003.